What is the essential equipment you need to own to play airsoft? We go through the essentials you need to start your first game of airsoft, besides the gun, you need the correct equipment like eye protection, face masks and tactical vests to make the most out of your airsoft game, but why do you have to purchase this equipment? Due to the nature of airsoft, eye protection is one of the main elements of safety you have to consider. Eye injuries are your first concern, which is why sites worldwide are heavily strict on having ballistic rated eye protection. Insurance claims won’t be facilitated if eye protection isn’t to the airsoft sites/fields. At the end of the day, your eye protection is up to you, so please don’t skimp on quality. When purchasing eye protection you can either have two forms, goggles or dedicates glasses. 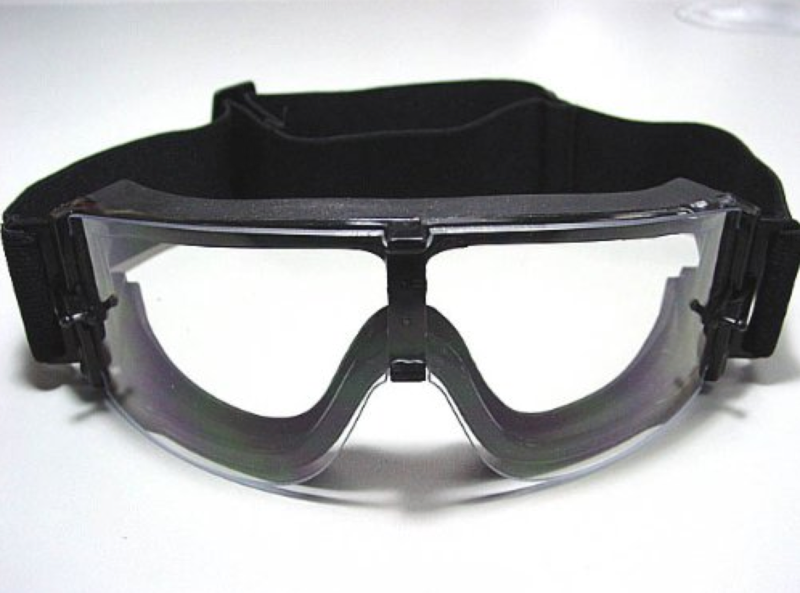 You must make sure your goggles adhere to the ballistic rating you country sets for sports like airsoft as safety boards would of tested these product to ensure they are safe. Eye protection can come in many forms in airsoft as without the splatter of the paint, a full-face mask isn’t n required, however full face masks are preferred especially in the close quarter combat situations as the impact will be a lot stronger if hit at close range. When looking at face protection, you can either use mesh masks, which over good protection without having a damp trap on your face as the mesh allows moisture to escape. This is useful as goggles tend to fog up in during play. Some skirmishers also use paintball masks as these are developed to be used under extreme conditions. They often have appropriate venting to allow the moisture to escape whilst also having ballistic lenses, which have an anti-fog coating, which allows for unobstructed view when playing. Helmets are also an item of safety, which many players choose to wear, although not essential, it is a good idea as it saves you from being shot in the head, which may hurt or leave marks. For people who don’t like to wear helmets, a baseball cap or shemagh/scarve will offer some protection over BB hits, although not as much as a hard shell helmet will offer. Tactical vests are much less necessary for protection, as they are mostly used for the load bearing ability of carrying your airsoft equipment and kit without having it fall out of your pockets. It doubles as protection as some plate carriers have thick material to mock ballistic bulletproof plates in them, which can provide padding when hit in those areas. Thicker clothing may be worn to avoid a level of pain but many sites are careful to observe how much clothing is being put on. As a BB is only 6mm in diameter, some times a grazing shot may not be felt. Thick layers of clothing may be the cause of this as site marshals may take into account if you are accused of non-hit calling. Airsoft really doesn’t hurt that much when being shot, and it’s rare that you’ll have bruises like in paintball. Paintball projectiles are much larger which leaves a larger bruise when hit, whereas airsoft projectiles are much smaller, meaning when hit you will definitely feel it, however the chance of being bruised from it is much less. In the UK the average site Feet Per Second (FPS) limit is around 330fps for standard rifles, which limits the chance of a painful hit. 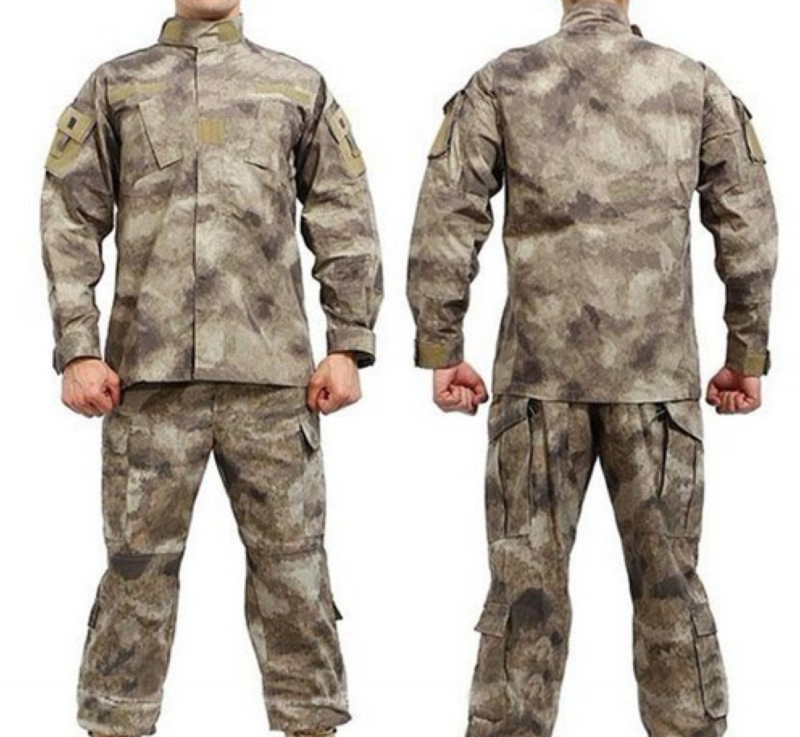 Your airsoft clothing can be used to emulate real world tactical load outs, whether your trying to replicate a real life army squad or if you just like a particular pattern of camouflage, there are many different types of clothing you can purchase to suit you. Your clothing in airsoft has to be somewhat tough as you’ll be running around your field whilst moving in ways you wouldn’t normally do. Different trousers and shirts also have inbuilt elbow and kneepads which offer some protective value when either kneeling or crawling on the floor. 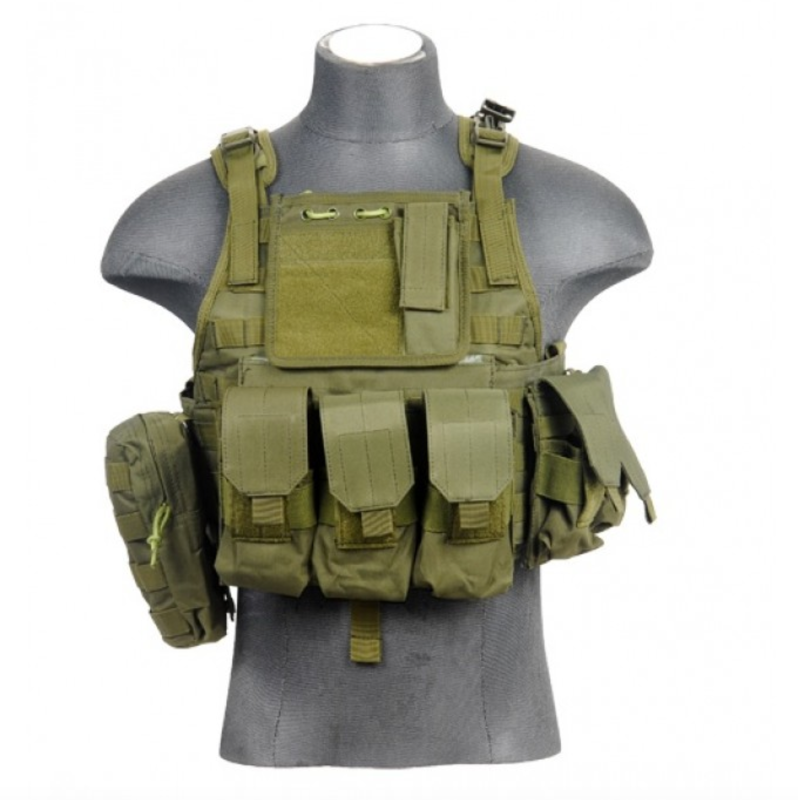 Most airsoft clothing uses nylon/polymer fabrics mixed with absorbent linings to stop sweat from building up as airsoft is a very pro-active sport. Thicker shirts and trousers can also offer protective value also as it will stop any fast hits by dissipating any energy through the fabric. When picking clothing for airsoft it’s important to find shirts/UBAC’s/combat uniforms that fit you, as baggy clothing can hinder your ability to move quickly. It may also provide the opponent with places to shoot you may not feel, which may lead to accusations of cheating. Gloves are quite important in airsoft, especially with close quarter combat sites where close shots may cause injury to fingers and hands. 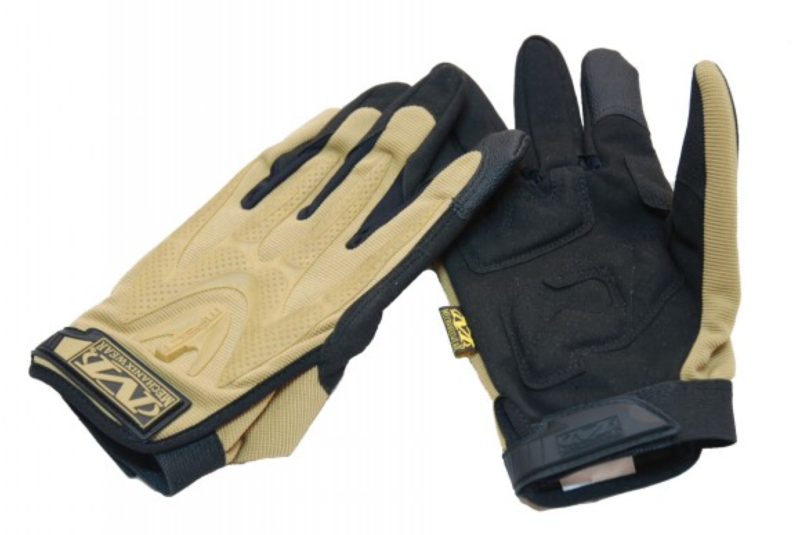 Tactical gloves offer thicker padding than generic wool gloves will give and give increased grip with textured pads on the palm of those gloves, you can also purchase fingerless gloves which offer less protection but still retains the sense of touch when using airsoft guns, which some players may prefer. There are some models of tactical gloves which offer hard kevlar or carbon fibre pads across the knuckles which again, offer protection in the case where your shot on the knuckle which can hurt quite a bit. these also offer protection against accidentally hitting your hands across objects whilst running as some players can expectantly smack their hands on game objects around sites.